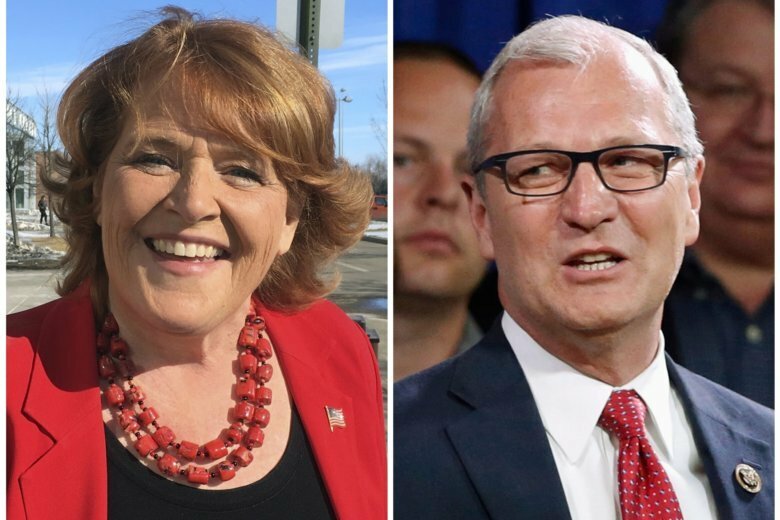 BISMARCK, N.D. (AP) — Democratic Sen. Heidi Heitkamp sharpened her attack Friday on Republican Kevin Cramer on trade, launching a new ad that blames her opponent in one of the nation’s most critical Senate races for not opposing tariffs that she says are badly damaging North Dakota farmers. The ad features farmer and former Democratic state Rep. Charles Linderman of Carrington standing in a soybean field. “Mr. Cramer, that trade war is costing my family a lot of money. And you don’t seem to care,” Linderman says in the ad. Cramer, a three-term congressman, is facing Heitkamp in a race seen as critical for Republicans’ chances to keep the Senate. Much of the race has turned on President Donald Trump, who carried North Dakota in a landslide in 2016 and remains highly popular. Cramer has strongly backed Trump and his trade policies , while Heitkamp has portrayed herself as willing to buck the president when he’s wrong and has seized on trade as a key issue. Heitkamp’s campaign says the six-figure ad buy will run on television, radio and the internet over the next several weeks. Cramer has said he believes trade disparities have harmed American farmers for decades. The Trump administration in July imposed a 25 percent tax on $34 billion worth of Chinese products in response to complaints that Beijing steals or pressures companies to hand over technology. China retaliated with taxes on an equal amount of U.S. products, including soybeans. The U.S. also has imposed tariffs on imported steel and aluminum, and that could indirectly hurt farmers by driving up the cost of farm equipment. Agriculture is the No. 1 industry in North Dakota with about 25 percent of the state’s workforce. The state generates 54 commodities and leads the nation in the production of about 10 crops. North Dakota ranks ninth among soybean-growing states and produces less than 6 percent of the nation’s crop. But soybeans have grown in popularity in North Dakota in recent years thanks to strong prices, and this year the 6.6 million acres planted by farmers equals the size of the state’s staple spring wheat crop. This story has been corrected to show the state GOP spokesman is Jake Wilkins, not Jake Williams.